Craving that calorie-laden Peppermint Mocha from your favorite coffee chain? 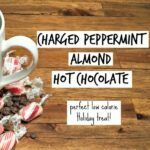 Make it yourself with this low-calorie version of Peppermint Hot Chocolate that uses flavored stevia! Can we just tell you how much we love Christmastime? It’s such a fun time of year and just because you are a clean eater, doesn’t mean you should miss out on any (and we said ANY) of the festive drinks available this time of year. Insert your favorite coffee chain here and let’s whip up something that will take your taste buds straight through to December! We used unsweetened almond milk in this recipe but organic cow’s milk will work just as well (although it will change the macros). We used the Sweetleaf Peppermint Mocha drops in this recipe but if you can’t find that particular flavor you could mix Chocolate Stevia Drops and Peppermint Stevia Drops drops. This is such a wonderful drink! It’s so easy to make and will wow your guests (or your taste buds). You will forget all about that corner coffee shop and start enjoying treats that are as good for you as they taste! Feeling festive enough to make additional holiday-inspired treats? Try the recipes below. We also have plenty of holiday workouts to try this season! 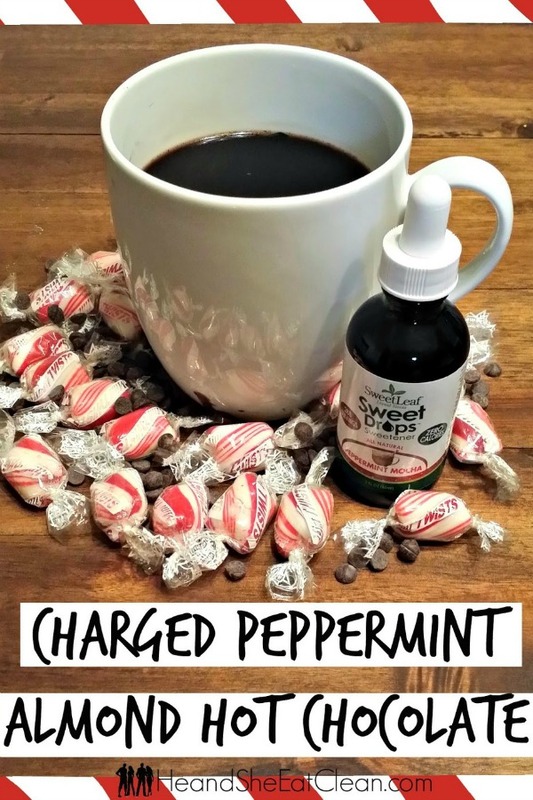 Make this low-calorie version of Peppermint Hot Chocolate that uses flavored stevia! Warm almond milk, preferably on your stovetop to slightly warmer than desired temperature. Prepare your favorite organic coffee as directed. Allow mixture to cool to desired temperature prior to drinking.